This changed image probably explains why defendant physician usually views the prospect of a jury trial with a real fear that some or all of the jurors will be prejudiced against him. Doctors frequently ask if it wouldn’t be better to have the case tried by a judge; their reading of popular articles has convinced them that when they go to court the atmosphere will be unfavorable…. It is important, however, that neither the defendant physician nor his lawyer be deceived by the more extreme views of emotional writers who suggest that the medical profession has become a sort of litigation target, and that doctors and hospitals have been made the villains in these modern day courtroom dramas. Both doctor and lawyer must dispel from their minds any notion that the defendant physician has initial hurdles to clear somehow before he has any chance of winning his case. The reverse is true. On balance, the jury will start the case with some sympathy for the defendant physician, and this will be maintained right into the jury room, unless it is somehow lost or dispelled by the evidence and the witnesses. Honestly, I have always figured they did. My thinking was that it is basic economics. Decrease the upside risk and premiums will come down. Now, I’m not so sure. Certainly, at a glance a cap on noneconomic damages appears to be correlated with keeping health care malpractice premiums down. But the data just does not back that up. Take a look at the analysis in Ferdon v. Wisconsin Patients Comp. Fund 701 N.W.2d 440 (Wis. 2005) where the court breaks down the “caps equal higher premiums” argument. Unlike a lot of medical malpractice lawyers, I don’t have a huge problem with requiring a certificate of merit when filing a malpractice lawsuit. Why? They are probably a necessary evil in avoiding frivolous medical malpractice lawsuits. I don’t think these are a big and costly problem, but the medical community seems to think so. Let’s not fight them on everything. But I do think it is wise to realize that if we require certificates of merit, we are best served by narrowly construing them to meet the statutory purpose of having a gatekeeper in malpractice suits. This means, to me, that if a challenge to the certificate of merit can be fairly called “technical”, let’s give the plaintiffs fair remedy to cure the problem. Has Your Doctor Committed Malpractice? This is the information era. People are making more intelligent decisions based on real information, more in 2012 than any other time in human history. Reflecting this was a bill in the Minnesota legislature, introduced last month, that would have required the state Board of Medical Practice to post more information on its website regarding the discipline and malpractice records of doctors who practice in Minnesota. Of course, there was push from back Minnesota Medical Association which has led to a watered down, toothless version of this bill. An unbelievable number of the doctors we sue have been sued many times before. Keeping this information under wraps hurts patients. This we know. But, do you know who else gets hurt by this? Good doctors. I specify “direct costs” because there’s a separate question related to “defensive medicine” — tests and treatments doctors prescribe to protect themselves from lawsuits. The problem is it’s very difficult to figure out what is and isn’t defensive medicine. In a world where patients and their families want every treatment that might help and where doctors and hospitals are paid more for every additional treatment they try, there are plenty of incentives pushing doctors to do more. Fear of lawsuits is simply one of many. (I’ve made this point a 1,000 times but this is nice way to great way to say it. A large group of Warren (Ohio) area physicians donned their white lab coats Wednesday while lashing out at excessive malpractice insurance premiums that they say are caused by a larger-than-normal number of malpractice claims. Without being specific in terms [naturally] of the actual number of malpractice suits in court, Dr. Morris Pulliam said the situation is causing doctors to close down practices and take early retirement. ”Health care in Trumbull County is on life support,” said Pulliam, president of the medical staff at Valley Care Trumbull Memorial Hospital. Vermont is considering switching to a no-fault medical malpractice system. The theory? It is what they do in New Zealand. The thinking is that we should replicate New Zealand’s law since, you know, we do that with just about everything else. I’m oversimplifying it trying to be funny. The theory is that less fear of lawsuits means doctors practice less “defensive medicine” which makes up an estimated 99.99% of medical costs (source: AMA). But this seemly good idea got kiboshed when someone decided to actually study it. “The research we found hasn’t found a strong correlation between tort reform and reductions in defensive medicine,” as reported in a state of Vermont commissioned study. …Because even Texas Governor and presidential candidate Rick Perry thinks so. In his quest to win the Republican presidential nomination, Perry giddily brags about the putative benefits of malpractice and other tort reforms that have effectively choked serious malpractice victims in Texas. But even Governor Perry agrees that tort reform at the federal level is a bad idea that violates the 10th Amendment to the Constitution which limits the role of the federal government. If Governor Perry is not in a scheme to vacate malpractice victims’ rights to recover what a jury believes they should, it is just not going to happen. Malpractice Lawsuits: Who Needs Them? Who needs medical malpractice lawsuits? Anyone who is or could be a patient. This includes, ah, all of us. Most doctors are not good doctors. Most doctors are great doctors. They are in the world’s most prestigious profession for a reason: they are smart and competent. But, like any profession, there are a minority of doctors who are awful. Malpractice lawsuits would be at least less important if doctors properly policed themselves. But they don’t. State medical boards fail to discipline 55 percent of our doctors who are sanctioned by hospitals, according to a just released Public Citizen report. Think about that: their own hospital, where they presumably have contacts and relationships, saw fit to discipline them. But not the state’s medical board. 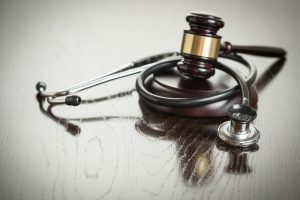 Explore Baltimore County writes about a bill introduced by a doctor who is in the Maryland House of Delegates that says, in effect, that if a doctor says he or she is ‘sorry’ for a medical outcome, that apology would be inadmissible in a Maryland courtroom. I just looked for the bill. I couldn’t find it. But how much do you want to bet me that that is not what “in effect” it says? Instead, if doctors explain exactly how the malpractice occurred and they deny it later, the fact that they have completely changed their story in front of perhaps multiple witnesses is excluded. How is that fair? The idea that the purpose of this bill is to allow doctors to say “Hey, I’m sorry for your loss” is just plain inaccurate. There is no question in my mind that this bill is well intentioned. It sounds like such an obvious good idea. In fact, there is evidence that patients and their families benefit when doctors fess up and admit medical malpractice. So let’s just move on. Let’s go all George Bush and just go with our gut. Apology = good.